The Forbes Road Fire Department has partnered with the Red Cross and Westmoreland Cleanways & Recycling to provide increased safety in your home. Our department is offering and will install FREE Smoke Detectors and 9V Batteries to anyone that requests them in Salem Township and neighboring communities. The smoke detectors come with a 10 year battery installed. The 9V batteries will be provided for any existing smoke detectors in the residence. At the time of delivery, a fire department member will provide home fire safety tips. If interested, please click on the "SMOKE DETECTORS/BATTERIES" tab on the left, fill out the form, and a fire department representative will be in contact with you shortly. 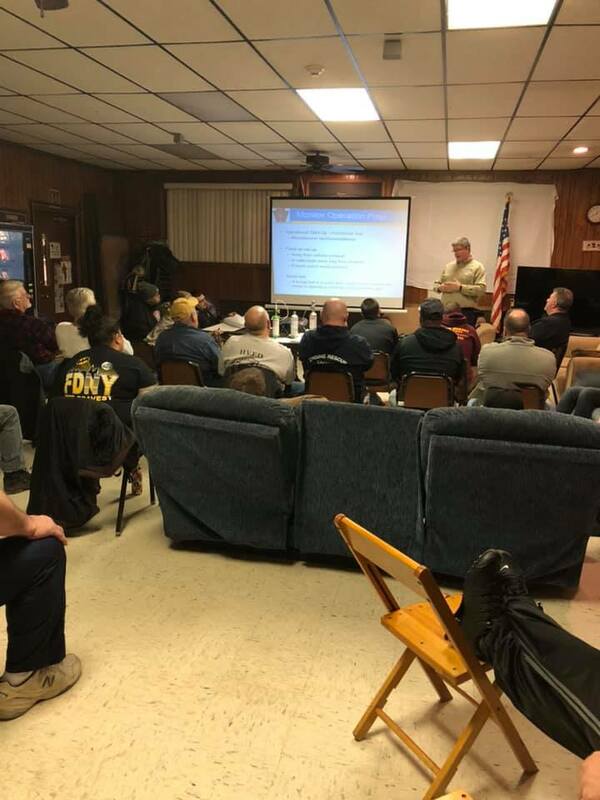 On Thursday, February 28, 2019 members of the Forbes Road Fire Department and other neighboring departments attended an Air Monitoring for First Responders (AMFR) Class sponsored by the PA State Fire Academy Alternative Energy Emergency Response Training Program. The class went over the use and hazards when monitoring atmospheres with multi-gas monitors. Thanks to Scott Held and Bill Wright for their knowledge and excellent instruction. Congratulations to 2nd Assistant Chief David Mutnansky on achieving his Hazardous Materials Incident Commander Certification. This certification is a Pro-Board Accreditation which is an International Accreditation for Fire Service Organizations. Asst. Chief Mutnansky is currently certified at the Hazmat Awareness, Hazmat Operations, and Hazmat Technician levels. Congratulations to Firefighter Dylan Crystaloski on achieving his Fire Fighter I Certication. This certification is a Pro-Board Accreditation which is an International Accreditation for Fire Service Organizations. In order to be eligible to test for this certification this member was required to complete over 200 hours of training in an Essentials of Fire Fighting class with Live Burn Session, Haz-Mat Operations, CPR, First Aid, a several station practical exam, and a written exam. Memorial Call - Life Member Michael "Micky" Bayura Sr.
Michael T. "Micky" Bayura Sr., 84, of Forbes Road, died Friday, Sept. 21, 2018, at Westmoreland Hospital. He was born July 6, 1934, in Forbes Road, Pa., a son of the late Joseph J. and Rose Balog Bayura. Micky was a member of St. Bartholomew Church. Prior to retiring from GGI after working for five years as a glass cutter, he had worked as a glass cutter and guard at St. George Crystal in Jeannette for seven years, and Westmoreland Glass. He was a member of the Forbes Road Fire Department and served in the past as president, vice president, trustee and captain. He was also a member of the American Flint Glass Workers' Union Local No. 533, where he also had held the office of president, vice president and steward. In addition to his parents, he was preceded in death by his wife, Thelma Mae Bortz Bayura; a daughter, Lori Ann Smith, four brothers, Frank, George, John J. and Joseph J. Bayura; three sisters, Rose Piccinini, Mary Alford and Lucille Massera; and his longtime companion, Victoria Damato. Micky is survived by his two sons, Michael T. Bayura Jr. (Debra) and James C. Bayura (Ruth), both of Greensburg; a daughter, Phyllis J. McArdle (Bruce), of Spotsylvania, Va.; nine grandchildren, Adam, Amy, Megan, Matthew, Christina, Jessica, Justin, Kimberly and Rebecca; several great-grandchildren; and numerous nieces and nephews. Relatives and friends are invited to celebrate the life of Micky from 4 to 8 p.m. Monday in the CLEMENT L. PANTALONE FUNERAL HOME INC., 409 W. Pittsburgh St., Greensburg, PA 15601, 724-837-0020. Parting prayers will be held at 9:15 a.m. Tuesday in the funeral home, followed at 10 a.m. by a funeral Mass to be celebrated in St. Bartholomew Church, Crabtree. Interment will follow in Twin Valley Memorial Park. Memorial donations may be made to St. Bartholomew Catholic Church, P.O. Box A, Crabtree, PA 15624, or Forbes Road Volunteer Fire Company, 332 Fire Station Road, Forbes Road, PA 15633. Micky's family has entrusted his care to the Pantalone Funeral Home Inc., Greensburg. To share your memories and photos, offer your condolences or for directions, please visit www.pantalone.com, Natale N. Pantalone, supervisor. Congratulations to Firefighter Robert "Zippy" Bankosh, Firefighter Brian Fritz, Firefighter Jeff Greece, and Firefighter Jeff Paulich on achieving their Fire Fighter I Certications. This certification is a Pro-Board Accreditation which is an International Accreditation for Fire Service Organizations. In order to be eligible to test for this certification these members were required to complete over 200 hours of training in an Essentials of Fire Fighting class with Live Burn Session, Haz-Mat Operations, CPR, First Aid, a several station practical exam, and a written exam. This is quite an achievement for a small, rural, volunteer organization and shows our members dedication to training and providing professional level services to our community. Congratulations to Assistant Chief David Mutnansky on achieving his Fire Officer I Certification. In order to be eligible to test for this certification Asst. Chief Mutnansky had to be certified as a Firefighter I, Firefighter II, Haz-Mat Operations, and Fire Instructor I. This certification also required many hours of paperwork, practical skills exam, and a written exam. Assistant Chief Mutnansky is the first to achieve this level of certification in the department. Congratulations to Firefighter Brian Fritz on achieving his Hazmat Operations Certification. Firefighter Fritz had to complete a Hazmat Operations Course and be certified in Hazmat Awareness prior to being eligible to test for this certification. The test consisted of several practical skills and a written exam. The Forbes Road Fire Department offers condolences to the Greensburg Fire Department on the passing of their former Fire Chief, John Edward Hutchinson "Hutch." Although he wasn't a member of our department, he was very influential in its beginnings. "Hutch" was only a phone call away and would go above and beyond to assist. With all his years as the fire chief, he was most likely the oldest and longest lasting, if these records were recorded. He is a legacy to the area and will always be remembered for his tactics and behaviors. Rest in Peach Chief. James Dorsey "Barney" Daniels, 74, of Calimesa, Calif., passed away Sunday, Jan. 28, 2018. He was born Aug. 3, 1943, in Luxor. He was the son of the late Joseph Bayura and Annabelle (Ruffner) Bayura, of Forbes Road. James was a retired truck driver, a veteran of the Army and a lifetime member of the Forbes Road Volunteer Fire Department. He was preceded in death by his brother, Larry Daniels; sister, Nancy (Daniels) Gray; and an infant brother. He is survived by his loving wife, Wanda, of 32 years; children, James Daniels and Melinda Runkles; sisters, Beverly (Daniels) Shanahan and husband, Thomas, and Deborah (Bayura) Tarau and husband, Barry; brothers, Joseph Bayura and wife, Eva, and Robert Bayura and wife, Erika; brothers-in-law, Bruce Gray; and two grandchildren, five stepchildren and step-grandchildren. Congratulations to Assistant Chief David Mutnansky and Firefighter Stephen Yusko on achieving their Fire Instructor I certifications. These members had to attend an Education Methodology Course accredited by the Pennsylvania State Fire Academy, perform a practical exam by demonstrating ability to instruct peers, and pass a written exam. There is a new apparatus that will be responding to calls. 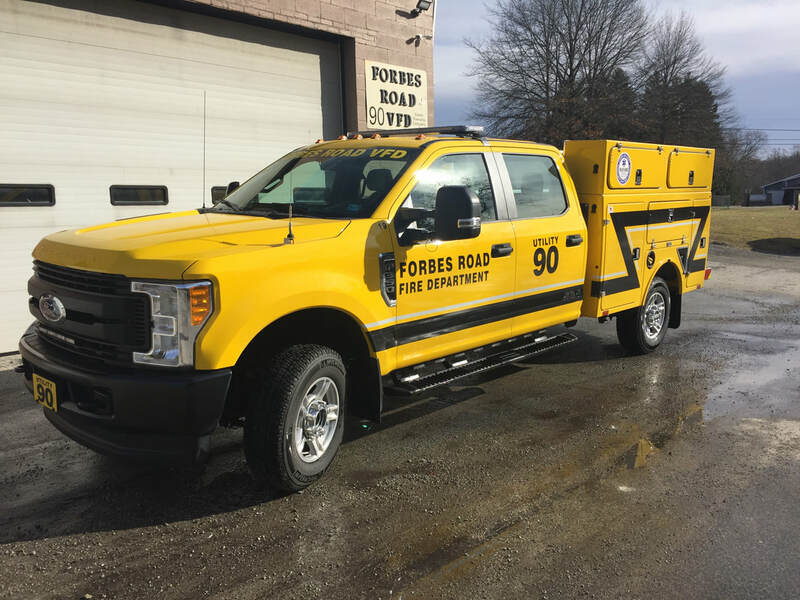 Our department has recently purchased a Ford F-350 Utility truck. The chassis was purchased through Ligonier Town and Country Ford and the body was installed by J & J truck bodies. This vehicle replaces a 1990 Chevrolet Suburban that was leased from Westmoreland County. The new apparatus will respond on EMS related incidents and other public service related responses. To most people, these decals mean very little. However, to a fire department, this shows a lot of pride. The three decals are the Office of the State Fire Commissioner's "Participating Department Recognition Program", EMS Licensure for Quick Response Service (QRS), and newly added Voluntary Rescue Service Recognition. In order to achieve one of these decals it shows that a department is dedicated to training, thus ultimately trying to provide the best public service to the community at an above standard level. The Forbes Road Fire Department is listed at the 50% level with the "Participating Department" Program. This shows that at least 50% of our active personnel are trained and tested to a certified professional firefighter level. We strive to continue to increase that percentage until 100% has been reached. The Department is licensed as a Quick Response Service with the PA Department of Health. Several of our personnel are trained as Emergency Medical Responders, EMTs, and Paramedics that respond to medical emergencies to initiate care prior to an ambulance arrival. This should answer the question of "I called for an ambulance, why did the fire department show up?" The newest recognition is the Voluntary Rescue Service Recognition (VRSR). This shows that our personnel have achieved many levels of rescue training and that the rescue truck is equipped for such rescue situations. This has been a long time goal of the Forbes Road Fire Department. Members have spent countless hours training while sacrificing pleasure and/or personal time with their families. All this time was spent in order to provide a better service to the community. On behalf of the Forbes Road Fire Department, we would like to send the most sincere “thank you” to all the departments involved over the last few days. 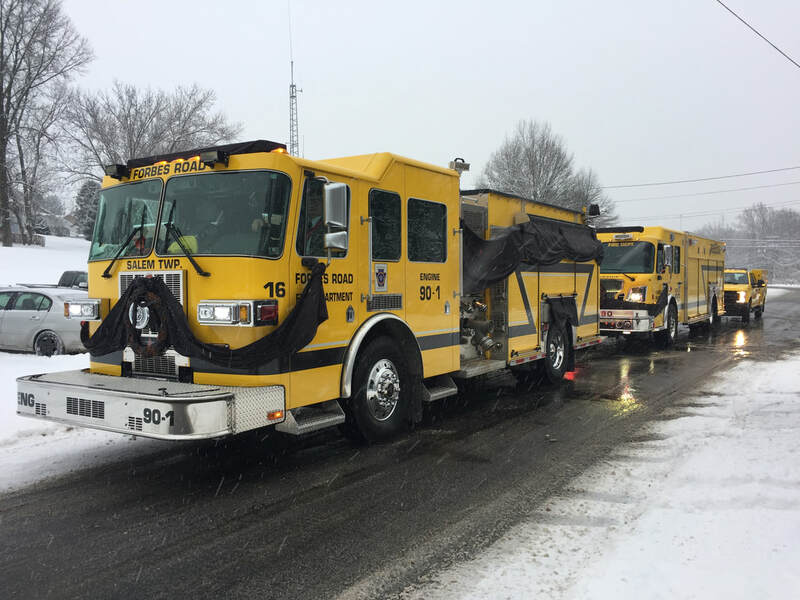 From the tribute on Route 119, to the traffic control assistance, to standby companies, visitors at the funeral home, and everyone else involved you have made the fire service a true honor to be a part of. Just know that we all have a new guardian angel watching over us. Once again, thank you for all that you have done and all that you do. John A. Rosatti, 82, of Forbes Road, died Sunday, Dec. 24, 2017, in the Excela Health Westmoreland Hospital. He was born Dec. 1, 1935, in Salem Township, a son of the late Carmen Rosatti and Rose Marnell Rosatti Gazze. John retired from Robertshaw and also worked for Dominion Gas. He was a veteran of the Marine Corps and a member of St. Bartholomew Church, where he served as an usher and Eucharist minister. He was the current president and life member of the Forbes Road Volunteer Fire Department. He was also a member of the Westmoreland County Firemen's Association, the PA State Firemen's Association, the Marine Corp League, Detachment No. 834, the PA Trapper's Association and the Robertshaw Retirees. He was a charter member of the Keystone Rod and Gun Club and a founding member of Mutual Aid, where he had also volunteered as an EMT. John's greatest joy was spending time with his family, hunting, fishing and trapping. He proudly served his community and was a friend to everyone he met. In addition to his parents, he was preceded in death by his stepfather, Lotto Gazze; his son, David A. Rosatti; and his sister, Bonnie Steel. John is survived by his high school sweetheart and loving wife of 60 years, Sandra Guala Rosatti; five children, Marcia Weaver (Randy), of Jeannette, John Rosatti Jr. (Marie Bartoletti), of Somerset, Tom Rosatti (Tina), Bob Rosatti (Amy Fontana) and Steven Rosatti (Kate) and a daughter-in-law, Arlene Fontana Rosatti, all of Forbes Road; five grandchildren, Lauren Sapone (Sam), Elizabeth Weaver (Brandon Battistella), Benjamin Weaver, Rachel Rosatti (Luke McCoy) and David Rosatti Jr. (Patti Tomer); three step-grandchildren, Maria Frazier (Jason), Joseph Thomas Jr. (Selina) and Christopher Thomas (Haley); four step-great-grandchildren, Chase and Cody Christner and Jace and Graysen Thomas; two brothers, Carmen Rosatti (Monica) and Frank James Gazze (Anita), all of Greensburg; a brother-in-law, Mack Steel, of Titusville, Fla.; three sisters-in-law, Sally Messaros (Jim), of Forbes Road, Ginny Panigall and Kathy Hamman (Chuck), all of Greensburg; numerous nieces and nephews; and a host of friends. Relatives and friends are invited to celebrate the life of John from 6 to 8 p.m. Thursday and 4 to 8 p.m. Friday in the CLEMENT L. PANTALONE FUNERAL HOME INC., 409 W. Pittsburgh St., Greensburg, PA 15601, 724-837-0020. A funeral Mass will be celebrated at 10 a.m. Saturday, Dec. 30, 2017, in the St. Bartholomew Church with Father Justin Matro, OSB, celebrating. Everyone please go directly to the church. Interment will follow in St. Clair Cemetery, Greensburg. The Marine Corps League Detachment No. 834 will hold services at 6 p.m. Friday in the funeral home. 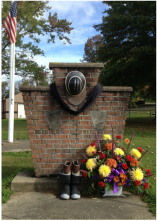 The Forbes Road VFD will hold services at 7 p.m. Friday in the funeral home. Any fire department interested in assisting with the procession on Saturday, apparatus will be staging at Lynch Field at 10:00 am. Contact the Staging Officer on Countywide Tac 13 when arriving. Please use the Contact Us tab or message the Department on Facebook if you plan to attend. Memorial Call - President John Rosatti Sr.
Special thanks to Mrs. Mickey's 2nd grade class at Metzgar Elementary School. 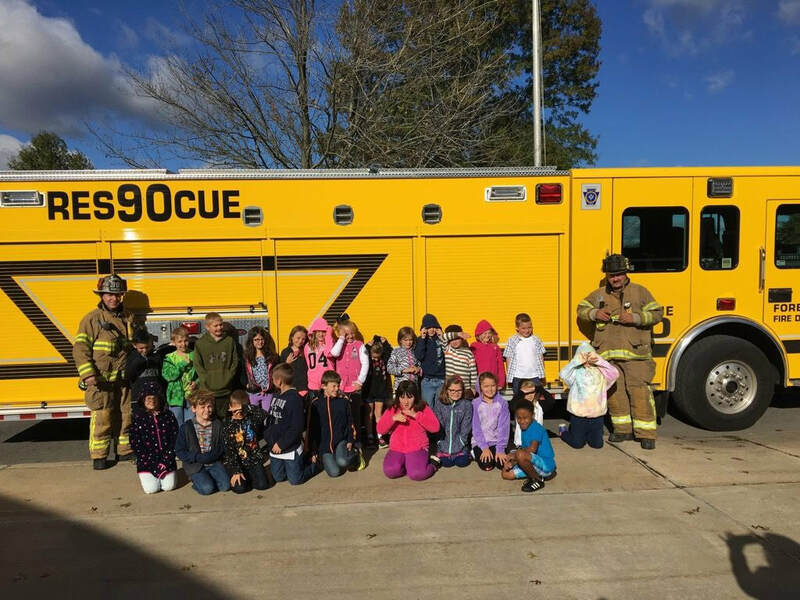 The students wrote letters to the fire department "thanking the firefighters" for the jobs that our members do for the community. So, in return, Assistant Chiefs Steve Rosatti and David Mutnansky showed up at the school for a picture with the students. Just so happened that Assistant Chief Mutnansky's son was in the class. The Salem Township Bureau of Fire 2017 Fund Drive is now in full swing. The fund drive benefits both Forbes Road and Slickville Fire Departments. Please show your support so that we can provide a better service to you. Remember it takes over $16,000.00 to fully equip a firefighter. 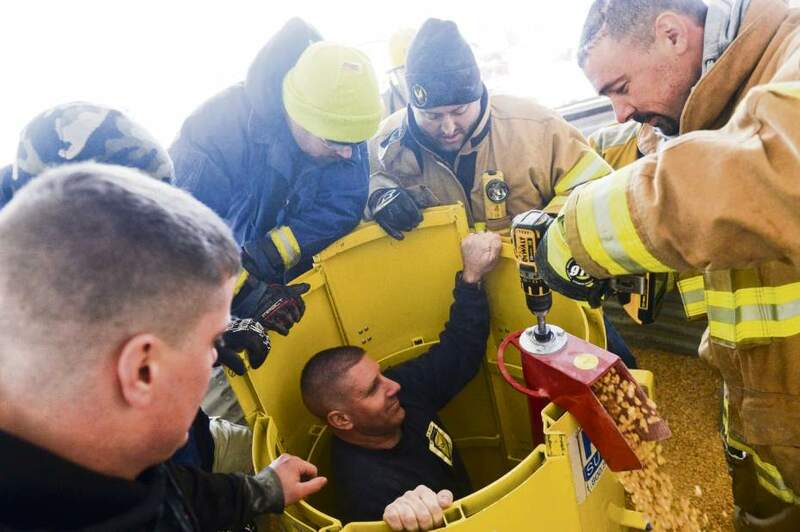 Local firefighters who volunteered Saturday to be engulfed in a mound of loose corn at a Salem farm soon realized they could not free themselves. “It's amazing how little amount of grain around you can trap you,” said Dave Mutnansky, second assistant fire chief at Forbes Road Volunteer Fire Department. During a rescue training exercise his department organized at Phil Long's 400-acre farm near Crabtree, Mutnansky found he could barely wiggle his toes when the flowing, quicksand-like corn piled up past his ankles. He was unable to move his lower limbs when the corn reached his waist. Fellow firefighters freed him using the department's new rescue tools — four sections of aluminum that can be pushed down into the corn and joined to create a “tube,” or cofferdam, surrounding the victim of a grain-bin entrapment and a battery-powered auger drill that lifts confining grain away. 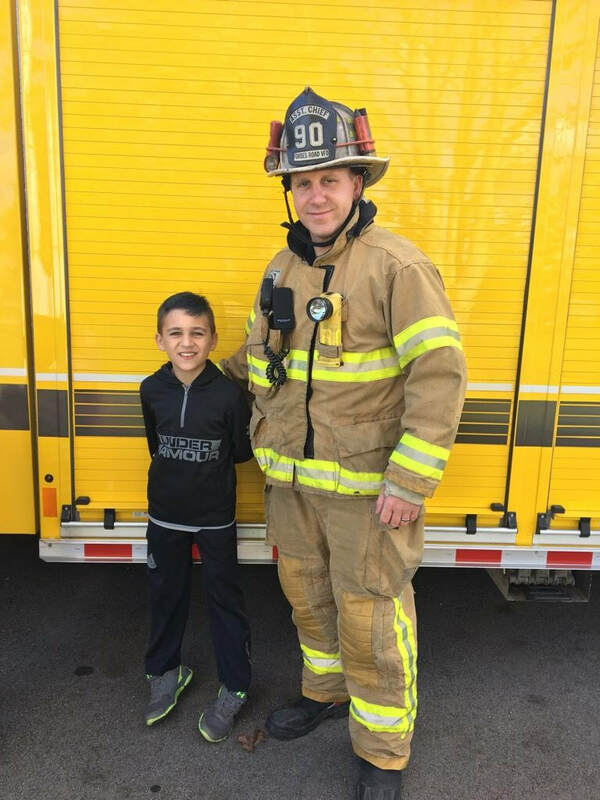 Forbes Road fire Chief Bob Rosatti was the driving force behind obtaining the uncommon tools and setting up the weekend training session attended by 55 local emergency responders. “I've seen a lot of grain bins popping up locally in the last couple of years, so I did some research,” Rosatti said. Though grain entrapments aren't as prevalent in Pennsylvania as in the Midwest, he wants his department to be prepared to assist the local farming community if such a potentially fatal accident were to occur. The department paid $4,000 for the rescue tube and $1,000 for the auger. The money came from a state firefighting grant and a $2,500 donation by the Monsanto Fund won for the department by Salem farmers George and James Kepple. “The farming community has been good to us. We want to do something to give back,” Rosatti said. Dave Hill, director of Penn State University's Managing Farm Emergencies program, led Saturday's training session, which used some of Long's nine towering grain bins and a student-built trailer with a scaled-down bin capable of holding 300 bushels of corn. Hill has seen interest grow over the past decade in better equipment and training for bin rescues in response to fatal grain entrapments in the Midwest. In 2010, two teens in Illinois got trapped in a bin, he recalled. A farmer was more fortunate in a 2003 Carbon County case, surviving after being partially submerged in corn for more than five hours. In many cases, Hill said, farm workers enter a bin to break up corn that is too high in moisture and has clumped together, jamming the auger used to unload grain. “Where the entrapments occur is when people go into structures with the unloading auger still running. The floor is moving out from under you while you're walking across the surface,” he said. “A person can get totally submerged in 20 or 30 seconds. For those less lucky, suffocation is a common result. In addition to Hill's expertise, Rosatti said, area firefighters responding to a grain entrapment plan to draw upon the experience of local farmers, resources of the Westmoreland County Trench Rescue and Structural Collapse Team and ladder trucks from Latrobe and Greensburg fire departments that may be needed to reach the top of tall bins. 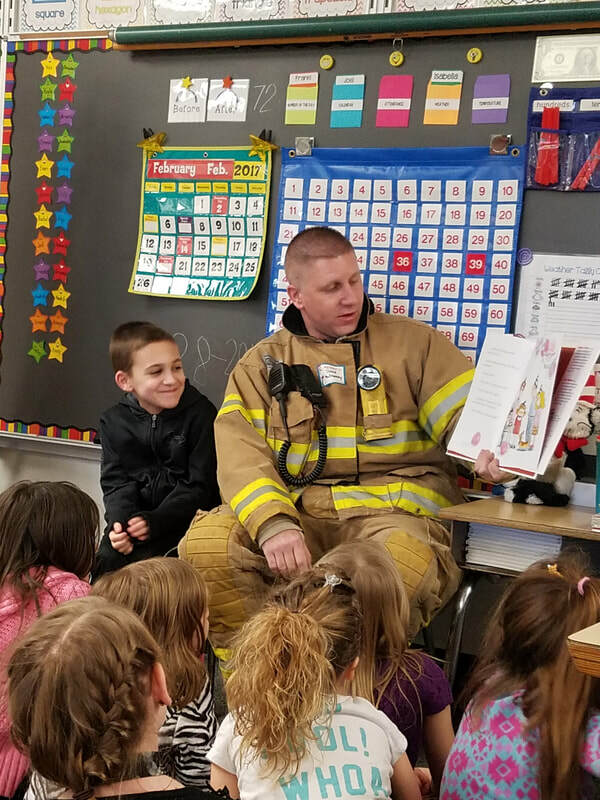 In honor of Dr. Seuss week, on February 28, 2017, Assistant Chief Mutnansky made a special visit to his son Noah's class. Stop, Drop, and Roll was read to Mrs. Perbonish's 1st grade class at Metzgar Elementary School. The students eagerly listened to and participated during the reading. In regards to the drug epidemic , ALL responding personnel should refrain from touching any drugs or drug paraphernalia. In the event that it is necessary to move these items, proper PPE (Personal Protective Equipment) needs to be worn (gloves, etc. ), in order to reduce exposure to secondhand toxins. Santa Claus is coming to town on Sunday, December 18th at 7:00 pm at the New Beginnings Baptist Church (Old St. Mary Church) on Keaggy Avenue. The Roadhouse, just outside of Greensburg on Rt. 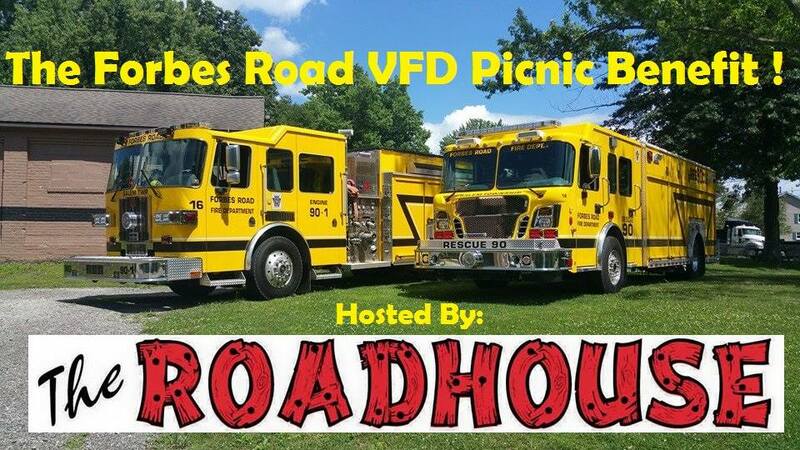 119 is hosting a benefit for the Forbes Road Volunteer Fire Department. We will be having multiple bands thrughout the day and other happenings like 50/50, Chinese auction, and of course food and beverages. This is a Family event and a chance for everyone to come out and spend some time with your favorite Forbes Road Firefighter. Welcome to another addition of Commissioners Comments. We start out this month with MAJOR MAJOR KUDO’s !!!! Let me set the stage here. It was early morning on Friday April 29th, little overcast and looking like rain across western Pa., Salem Twp, Westmoreland Co. to be exact. Sometime after 8 in the morning folks near the intersection of Routes 22 and 819 start hearing a large rushing sound that some characterized as a possible tornado followed by a large explosion with a fire ball and black smoke shooting hundreds of feet into the air. Was it a plane crash, or a bomb???? No it was a 36” natural gas line rupture with ensuing fire ball and smoke column seen, heard and felt for miles. Tones drop at Forbes Road VFD for them and several other fire departments along with Westmoreland Co. HazMat, and Westmoreland Co. Public Safety to respond. Responders had to stage about a quarter mile away from the site because of the intense heat. An evacuation perimeter was set up still not completely aware of what was really going on. One individual living near the center of the site escaped from his house which eventually burned to the ground because of the intense heat and proximity to what we now know was a ruptured gas line. A passerby helped him away from the site to get to waiting EMS personnel. When Chief Bob Rosatti arrived on the scene he couldn’t get any closer than almost a ¼ from the flames and even that was burning him. Well some time passed, the gas line started getting shut down and fire fighters were able to get much closer and handle getting water on some of the structures that had experienced major heat before they too went up completely in flames. This was a multiple direction attack with units coming in from Forbes Road side of the fire and from Route 22. You talk heroic event to only have one major injury during this says a lot of the actions of all the responders to this call. I was hearing numbers of probably 6 to 8 different fire companies during my time at the scene along with multiple EMS folks as well that fortunately weren’t called on to do much work. I joked with Chief Rosatti about needing to wear dark glasses because of all the media attention and number of times he was on air doing interviews. He and his whole team along with the other fire departments saw what we all termed the “Fires of Hell” and handled the whole incident in a most professional and effective way. Also again the support of Westmoreland Co Public Safety led by Bud Mertz and Westmoreland Co Haz Mat lead by Shaun Teacher and their respective teams were also a support group second to none. You talk about a team effort, this was it,as well as the assistance from State Police, Salvation Army and the many folks that brought food and drinks to everyone at the scene. A big thank you also to the media that helped get information from the scene to folks to assure them things were well in hand but to also make them aware of some things that would happen during the hours to come. Again to all involved, a job well done in very unique circumstances and we wish only the very best to the young man that was burned fleeing from his home when the pipe first burst into flames. As most folks have seen, We had a major incident in Salem Township yesterday. We don't normally discuss incidents, and we do not post pictures of others misfortunes, however half of our Township felt, heard, and/or was affected by the gas line rupture yesterday. There are plenty of facts that we have heard from the local news stations and we ask you to continue with that route for information. There are also plenty of pictures of yesterday's incident, throughout Facebook. We would like to take a moment to thank all our neighboring First Responders, for their assistance, the guys at Spectra Energy for their dedication to their jobs, and to the Family and Friends of all of us at the FRFD, for their continued support. We are continuing to work with the gas company and other authorities to maintain the safety of all the residents and people coming into our Township. As a side note, Rt. 819 will remain closed from Beaver Run Rd. to Rt. 22 as of now until Monday May, 2nd. We Thank You, the Public and Supporters of the Forbes Road VFD, and we will be continuing to work hard and strive for a Safe Community! 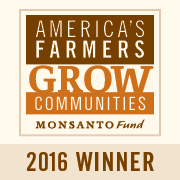 (March 15, 2016) – Forbes Road Fire Department has received a $2,500 donation from America’s Farmers Grow Communities, sponsored by the Monsanto Fund and directed by local farmer James Kepple of Westmoreland County. The donation will help the organization purchase a grain bin rescue tube and training for the device. The rescue tube is very unique and none of the other departments in the area have this piece of equipment. It only makes sense to purchase a piece of rescue equipment to potentially help save someone in the farming community and with this donation, we will have this capability. Thank you to Mr. Kepple for applying for this contribution and allowing us to purchase this rescue equipment and training). 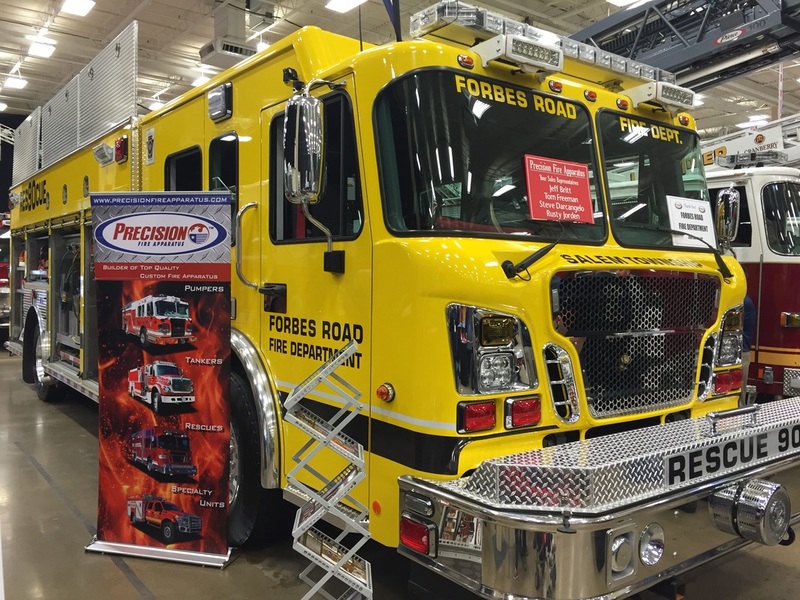 Rescue 90 went to the Monroeville Fire Expo on March 5th and 6th as part of Precision Manufacturing's exhibit. Many visitors stopped by to check out the apparatus and the department received many compliments. Hope everyone that went to the show had a chance to check it out. Many hours have been spent planning, researching, and traveling, and now all the efforts have paid off. 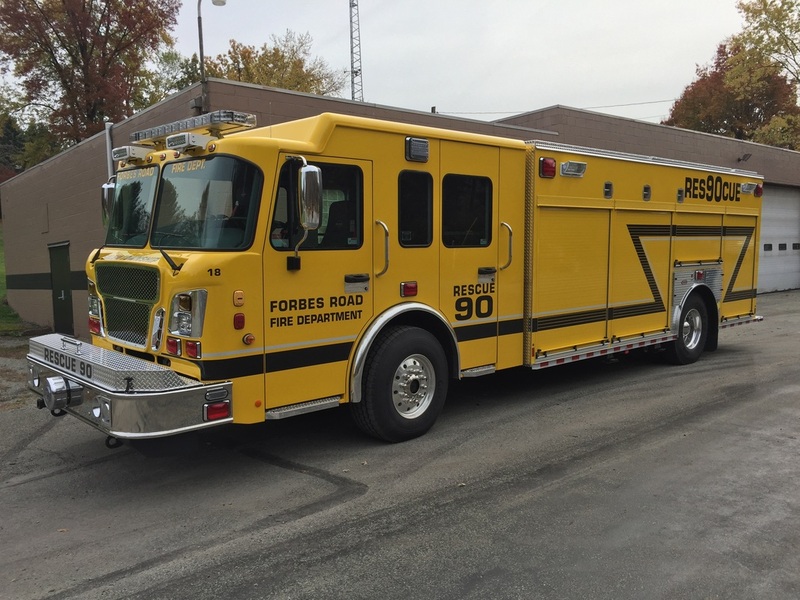 The new rescue truck was delivered of Saturday, October 24, 2015 by Precision Fire Apparatus. The department is very satisfied with the much needed purchase. The truck is equipped with the latest technology and allows room to grow in the future. The truck will be placed in service in about a week following driver's training and truck familiarization. Special thanks to Steve Darcangelo, Brad, Trapper, Travis and all the Precision Fire Apparatus Team for the excellent job and hospitality. More photos will be posted with equipment once the truck is placed in service. 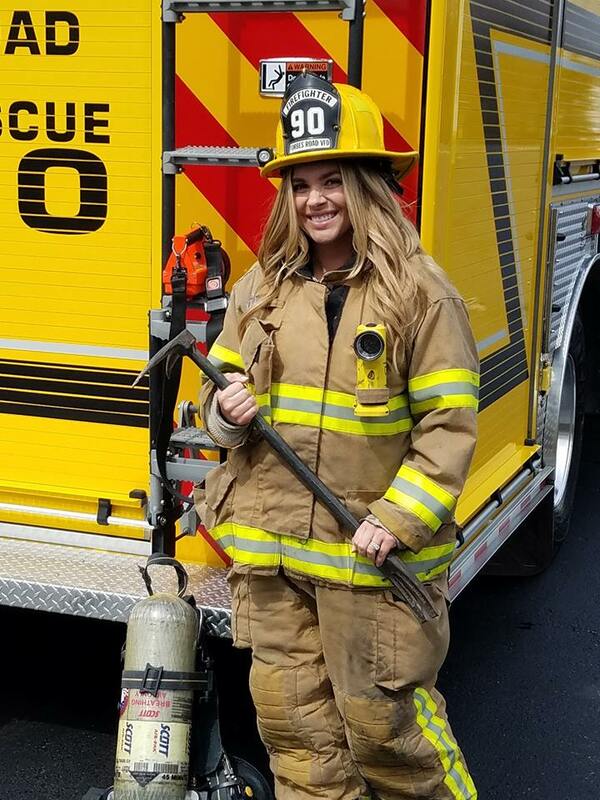 The Forbes Road Volunteer Fire Department would like to welcome Lea Toth to the department. Lea is the department's first female firefighter. She has previous fire and ems experience. Lea comes with many certifications and training records. With the expected delivery of the new rescue truck in Fall of 2015, our current truck is FOR SALE. Check out our "For Sale" page for additional information. For any additional information, please contact Vice-President/Lt. Adam Bayura at (724) 244-2583 or abayura@comcast.net. The new rescue truck has been ordered and has an expected delivery in the Fall of 2015. The truck will have a Spartan cab and chassis while the body will be built by Precision Manufacturing. This truck will replace the 1991 International/E-one that is currently in service. 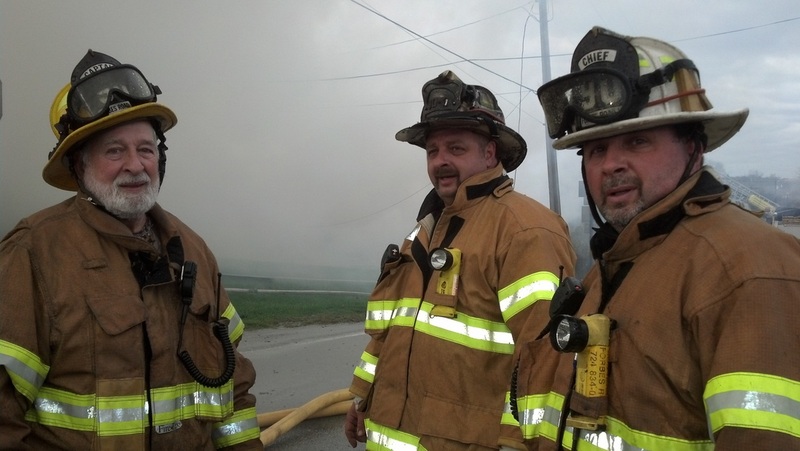 Good work to Assistant Chief Steven Rosatti and other members of the MAWC crew. A family of four was rescued from the roof of a burning Scottdale home Thursday morning by Municipal Authority of Westmoreland County workers. The MAWC crew was working in front of the Chestnut Street house when the fire broke out just before 5 a.m. According to Steven Rosatti, a Forbes Road Volunteer Fire Department fireman and MAWC employee, the crew used a dump truck and backhoe to get Jim and Angela Newton, along with their children, 13-year-old Ivy and 5-year-old Kahne, off the roof of the Victorian-style home. Jim Newton described the intense fire and was extremely thankful of Rosatti and his colleagues. “I couldn’t even make it out of the bedroom because the fire spread so quickly,” Jim Newton said. Tracy Wiltrout of South Connellsville, grandmother of the children, arrived to comfort the family. “A big thanks to the water company ... those guys are heroes,” she said. Mitch Zimmerman, who lives in one of the two downstairs apartments with his wife Linda, said they only had time to grab some clothes and get out the door. The other downstairs apartment is rented by David Gordon, Shauna Kubistek and Gertrude McGregor, Zimmerman said. “I owe my life to them,” Jim Newton said. In addition to Rosatti, the MAWC crew included Frank Francia, Dave Hall and Rich Salandro. “They really did a fantastic job. That’s something to celebrate today,” Scottdale Assistant Fire Chief Ben Savanick said. Maurderavers. Special thanks to the family and friends by having the memorial donations sent to the Forbes Road VFD, in lieu of flowers. 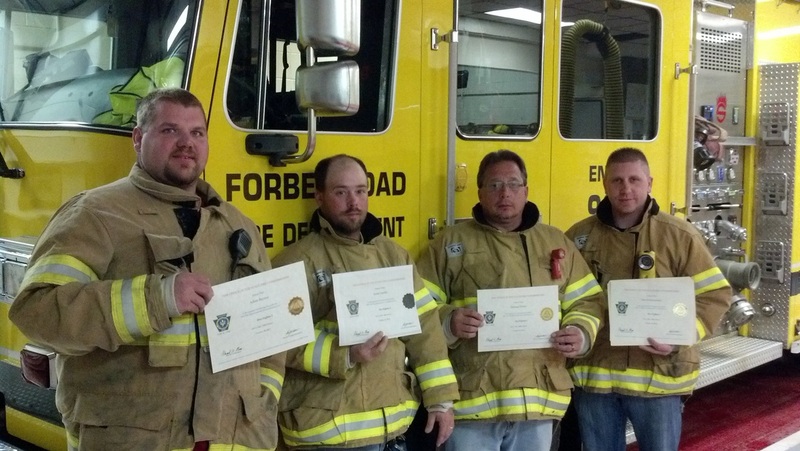 Forbes Road Fire Department has been recognized by having 50% of our personnel certified to the levels accredited by the Office of the State Fire Commissioner Certification Program. Currently there are 310 fire departments in the Commonwealth of Pennsylvania that are recognized: 35 at 100%; 66 at 75%, 103 at 50%, and 106 at 10% of certified personnel. Many are aware of Fire Chief Robert "Bob" Rosatti suffering a heart attack while fighting a house fire on December 2, 2012 near Slickville. Bob returned to full service in January. He is very thankful for all the thoughts and prayers for his full and quick recovery. Bob sets the precedent for the "Lead by Example" attitude. He can attribute his outcome to taking immediate action when he first developed chest pain and seeking on scene medical attention. The Forbes Road Fire Department is very happy for Bob's quick return to service, take pride in his actions on scene, and are very proud to call him our Chief. Welcome back Bob. Four members have recently been certified by the Office of the State Fire Commissioner and the International Fire Service Accreditation Congress to the level of Fire Fighter 1. These members include (from left to right) Lt. Adam Bayura, Lt. Jason Landis, T.C. Dohey, and 2nd Assistant Chief David Mutnansky. Each member was required to attend an up to 88 hour Essentials of Fire Fighting Class, 16 hour Structural Burn Session, CPR, First Aid, and a 24 hour Haz-mat Operations Course. In addition these members attended a 32 hour Fire Fighter 1 prep class. These four members are added to the list of already certified members: Chief Bob Rosatti, 1st Assistant Chief Steven Rosatti, Sgt. Stephen Yusko, Larry Daniels, and Fred Cecchini. A special thanks to Juicy Lucy's for hosting the 3rd Annual Truck Fund Benefit and the 23rd Annual Memorial Breakfast. The benefit event was a success and the memorial breakfast was a nice chance to honor and remember the deceased members of the Forbes Road Fire Department. Our department is having our 3rd annual Truck Fund Benefit coming up on August 18th at Juicy Lucy's on Route 119 North of Greensburg. We will be having The Bad Boy Blues Band, Hamilton Ave, and DJ-TDawg throughout the day. There will be all kinds of food and refreshments along with a Chinese Auction and a 50/50. If you would like to donate, please contact our Vice President, Adam Bayura at 724-850-7382. Forbes Road Fire Department is sponsoring a Highway Safety Class and a Firefighter Skills Enhancement/Firefighter 1 Prep Class. The Highway Safety Class will be on Monday, August 20th at 6:30 pm. The Firefighter 1 prep class is a 32 hour course that will begin on Monday, September 15th. All Fire/EMS personnel are invited to attend. If interested, click on the Training/Drills link on the left for additional information. Utility 90 has been added to the department's QRS certification after DOH inspection. QRS (Quick Response Service) is a certification that is granted by the PA Department of Health and shows that the Forbes Road Fire Department is capable of providing Basic Life Support prior to the arrival of an ambulance. Currently, Forbes Road has 8 medically trained personnel from First Responder to Paramedic levels. This is the reason a fire truck may show up at your door even though you called for an ambulance. Jason Landis is the winner of the $3000 Cash Summer Kick-Off Raffle. Special thanks to all who purchased tickets in support of the fire department. 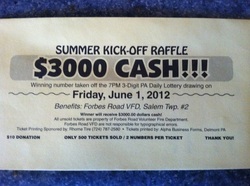 Forbes Road Fire Department is selling tickets for $3000 Cash. This Summer Kick-off Raffle goes off Friday, June 1, 2012. Each ticket is $10 and has two 3-digit numbers. Winning number is taken from the 7 PM 3-digit PA Daily Lottery drawing. Only 500 tickets will be sold. If you would like to purchase tickets, please go to our "Fundraisers" page and fill out the "Ticket Request Form." Seven members have taken part in the Hazardous Materials Awareness and Operations training and are now certified. Hazardous Materials Awareness training is an 8 hour class followed by an Operations class which is 24 additional hours. Members from Forbes Road were also joined by members from Bovard, Export, and South Greensburg Fire Departments. Congratulations to Sandy Mutnansky for winning the Thanksgiving Day ticket. Sandy took the cash over the quad. Special thanks to her and to all that purchased tickets. Just a reminder that there are only a few weeks left to buy tickets for a 2011 Polaris Sportsman Quad or $5000 Cash. Tickets are only $10 and will go off Thanksgiving Day with the PA Lottery Daily Number 7PM drawing. Please help us out by buying the tickets that remain. supporting the Forbes Road VFD. Please buy them up now. We are selling tickets for a 2011 Polaris Sportsman Quad with Trailer OR $5000 Cash. Tickets are $10 each and will go off Thanksgiving Day - Thursday, November 24, 2011 with the 7PM 3-Digit PA Daily Lottery. Only 1000 tickets will be sold. Special thanks to the Richard King Mellon Foundation, Westmoreland/Frick Hospital Foundation, and Mutual Aid Ambulance Service for the recent gift of a Zoll AED. Forbes Road Fire Department is one of the 93 police/fire agencies in Westmoreland County to receive the new AEDs. Forbes Road VFD now has two AEDs on the fire apparatus to better serve the community and members of the department. Soon a new Utility 90 will in service....well new to us. Westmoreland County DPS is leasing a Chevrolet Suburban for a very small price yearly to us. This Suburban was a retired unit from WCDPS and was utilized by West Point Fire Department for a few years. This unit is replacing a 1970 Chevrolet Value Van that was retired by FRFD and was never replaced. This Suburban will be responding on EMS calls and other public service calls that don't require specialty equipment from the rescue truck or engines and will lessen the wear and tear on these vehicles. Look for this unit to be in service over the next couple months after it gets painted. Forbes Road VFD will be hosting the community's visiting of Santa Claus on Sunday, December 19. There will be a bon fire, caroling, and children's stalkings distributed. Caroling starts at 6:00 pm and Santa will arrive shortly after. Everyone is invited. Prayers and condolences to the North Irwin VFD on the loss of 63 year old Firefighter Jim Gumbert, whom suffered a heart attack while responding to a fire call in North Irwin. The 20th Annual Memorial Breakfast for the deceased members of the Forbes Road Fire Department will be held on Sunday, November 14 at 10:00 am at Juicy Lucy's. Saturday, September 11 and Sunday, September 12 will be the last parking cars fundraiser for this year at the Fort Hannastown Antique Show. Special thanks to all who showed your support last Saturday at Juicy Lucy's. The event was a great success and we will hopefully be doing it again next year. Greatest appreciation goes to the staff members and owner of Juicy Lucy's for outstanding job and for having this event to benefit our department. Juicy Lucy's will be hosting an event to support the Forbes Road Fire Department Truck Fund. The event will occur on Saturday, September 4th at 5 pm and will have the country band "Brotherville" playing at 8 pm. There will be food, fun, music and games. $10 cover charge and $1.50 Miller Lite drafts. Juicy Lucy's is located on Route 119 about 3 miles north of Greensburg. Please attend and show your support. Reminder of Monthly meeting tonight, Sunday, August 15, at 19:00. All members try to attend. Heart attacks are the leading cause of firefighter death. This is a known fact. There is a research study currently being offered to firefighters involving the use of Aspirin. The research group is looking for at least 160 firefighters to take part in the study. By being a participant, you will receive a free physical exam, complete blood work, and be compensated. The study will involve two or three visits to an office in Pittsburgh that are about an hour each. The physical aspect will involve wearing turnout gear and walking on a treadmill. Anyone interested, please contact Assistant 90-2. The Mutual Aid Paramedic Class will be coming to Forbes Road VFD for a vehicle rescue demonstration/practical on Thursday, July 29th at 18:00. This is to give paramedic students whom are not used to seeing or using the rescue tools a chance to see and be part of the operation. The Mutual Aid Paramedic Class will be coming to Forbes Road VFD for a SMART Triage scenario on Tuesday, July 27th at 18:00. We are in need of victims for this event. We are looking for around 12 to 15 people. Please contact us if anyone is available. Triage can be sometimes difficult for a new paramedic especially in mass casualty situations. This scenario is designed to help paramedic students become familiar with the SMART Triage system and apply it to incidents whether large or small scale. Reminder of the parking cars fundraiser at Rizzo's Restaurant in Crabtree for the fireworks. Lots of help will be needed, so all members are urged to attend. Supporters, please assist Forbes Road VFD by attending this event and receive an excellent view of the fireworks display. Monthly meeting has been changed to next Sunday, July 18, 2010 at 7 pm. Monthly meeting has been changed to next Sunday, June 20th at 7pm. Reminder of monthly meeting on Sunday, June 13th at 7 pm. Reminder of the Parking Cars fundraiser at Fort Hannastown on Saturday, June 12th and Sunday, June 13th. Please sign up on board at the fire station. Crabtree VFD has invited us to take part in their firefighter 1 testing. Anyone interested contact Chief 90 or Assistant 90-2. Additional information posted in the training/drills section. With a special thanks to Crabtree VFD, more training classes have been added in addition to those posted yestereday. These include a Haz-Mat Operations Refresher and Trench Rescue Technician with Pro-board Certification. A list of classes has been posted under the Training/Drills section pertaining to the Regional RIT grant from the AFG program. The final RIT basic, FF survival, and RIT advanced classes have been posted. As a reminder, the grant was written stating that all interior mask personnel would have these certifications. Also, please make copies of your RIT basic and FF survival certificates and give them to Assistant 90-2. The drill originally scheduled for Thursday, June 3, 2010 has been moved to Monday, June 7, 2010 at 6:00 pm. There will be a drill on Thursday, June 3, 2010 at 6:00 pm. Turnout gear is required. All members are urged to attend. Crabtree VFD has invited Forbes Road VFD to take part in a Structural Burn session (16 hours) in preparation for FF1 testing. We are also invited to take part in their FF1 testing. Contact Chief 90 or Assistant 90-2 if interested. The monthly meeting has been changed to Sunday, May 16, 2010 at 7:00 pm due to Mother's Day. Happy Mother's Day to all mothers. The Marsala Well Corporation will be putting on a drill on Wednesday, May 5th at 7:00. Neighboring department personnel are invited. See additional information in the Training/Drills section. There will be a response drill on Friday, April 30, 2010 at 5:30 pm. All members be at the station by 5:00 pm. We will be responding to ARK Twin Valley Personal Care Home in Delmont. Saturday, May 8th and Sunday May 9th kick off the start of the Hannastown Fleamarket fundraiser hosted by the Westmoreland County Historical Society at the Hannastown Fort. 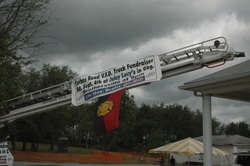 Forbes Road VFD assists with collecting entrance fee and parking of those attending. The fleamarket takes place every 2nd Saturday and Sunday of the months May through September. Please come out and show your support.